I don't know about you, but I always start the holiday season with ambitions of festive activities, but then it starts to get dark at 3:45 and the weather becomes cold, and I find myself hiding inside with corny Halmark movies (no shame in corny Halmark movies by the way). This year I wanted to find some fun activities to do downtown and decided to pair them with delicious warm drinks as an added incentive. Here are my top five festive pairing. Chocolate drinks at Blenz are our go to because they are made with real pieces of chocolate! You can also customize this Christmas Classic by choosing white, milk, or dark chocolate. 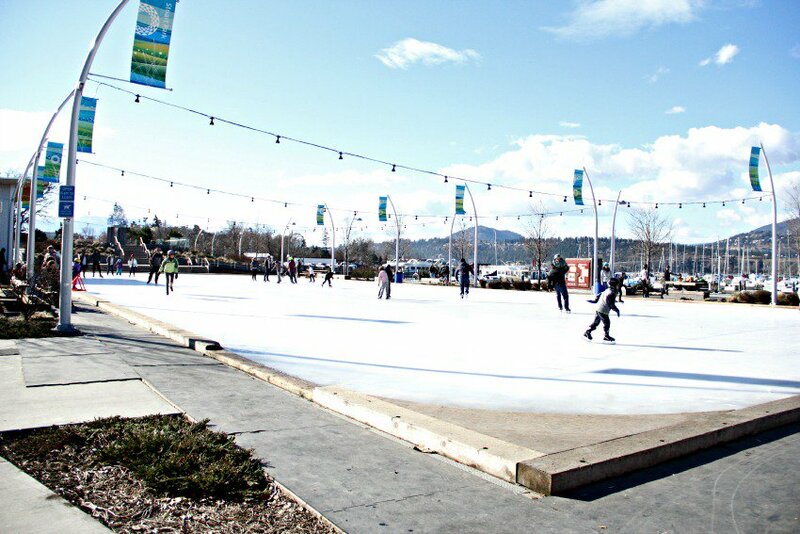 Once you have your special beverage, walk down to the waterfront rink for a leisurely skate. No skates? No probem! You can rent from the kiosk at the rink. Want a great start to your day? Get to The Sails at 6:29 sharp for a fantastic FREE workout. 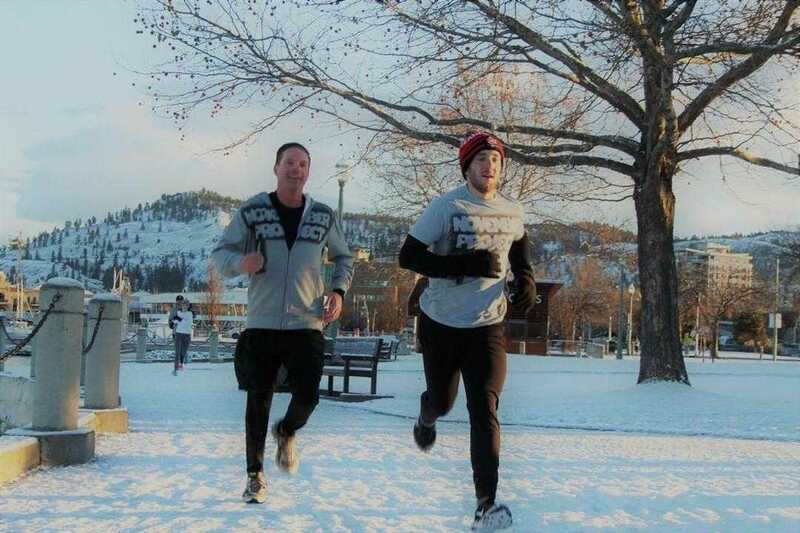 The November Project meets every Wednesday at this time, no matter the weather, to encourage a healthy active lifestyle and a vibrant community. We like that it means our workout is done before work and love meeting new people. When you’re done, head to Glow in the Innovation Centre for a bulletproof coffee that will fill you up and fuel the rest of your day. Gather has incredible lattes! 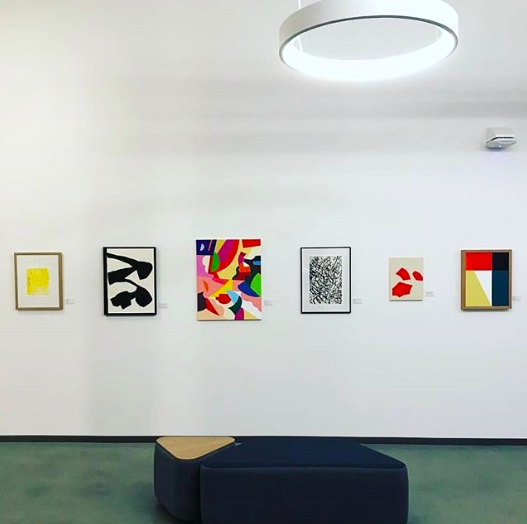 Pair one with a delicious baked good before heading into the atrium to admire Sarah Rambold’s art in the atrium. Rambold's exhibit is entitled "Happy" and that is just how is makes us feel. Inspired by the colours and shapes of the Okanagan, it's sure to bring a smile to your face. One benefit of this duo is that you stay inside, so save it for a particularily chilly day. 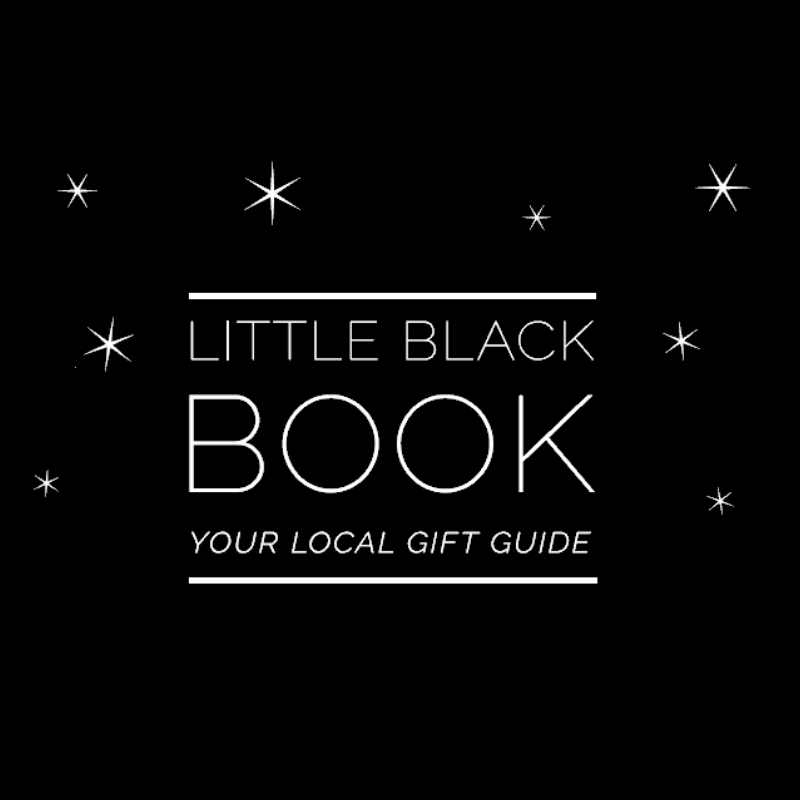 Downtown Kelowna has launched the Little Black Book, a little incentive to encourage Kelowna residents to shop local this holiday season. Shopping small and local is an amazing way to support our local economy and the individuals who own businesses here. If you want to stay cozy as your duck in and out of stores, start your adventure at Bliss Coffee on Bernard and order a hot chai latte; it will warm you up with it's fragrant spices. Start your adventure at Chai Baba and get literally anything on their menu; you won’t be disappointed. If you need a few minutes to warm up you can always check out their tarot cards. 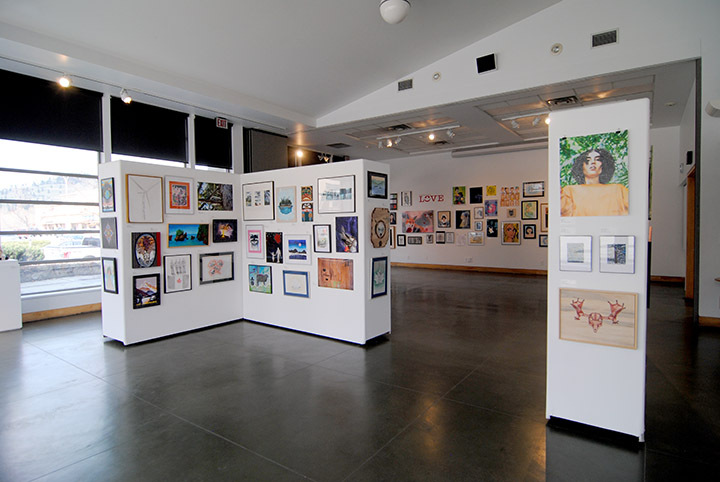 Once you’re cozy, make your way to the Kelowna Art Gallery. If the admission cost is a barrier, check it out on a Thursday for free!